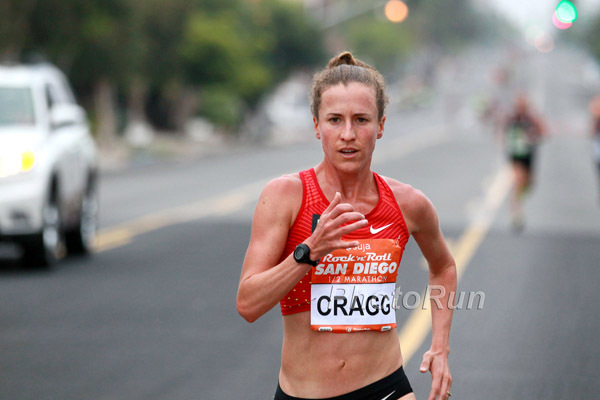 In what is technically known as a no-brainer, Amy Cragg was named today by USA Track and Field to the marathon squad for this summer’s World Championships in London. Amy’s teammates will be Serena Burla and Laura Thweatt, both of who have set marathon personal bests this year. Amy, in contrast, has been focusing on shorter races before beginning her marathon build-up. In February, she set a PR of 68:27 at the Marugame Half Marathon in Japan. Last Friday, in her first track race since 2015, she was only 7 seconds off her 10,000-meter PR with her runner-up 31:17.20 performance at the Payton Jordan Invitational. The World Champs marathon (both women’s and men’s races) will be run on Sunday, August 6. The women’s race over the four-loop course will start at 2 p.m. local time. Anyone who last year saw Amy win the Olympic Marathon Trials in Los Angeles and then finish 9th in Rio knows she’ll be ready to roll regardless of the weather.